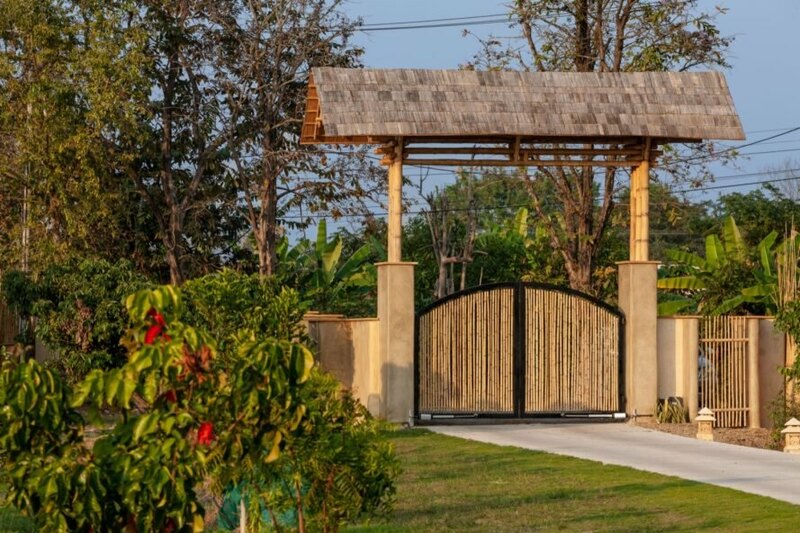 Architectural practice Chiangmai Life Architects has completed a striking villa that blends elements of traditional Thai architecture together with environmentally savvy construction practices and modern amenities fit for 21st-century living. 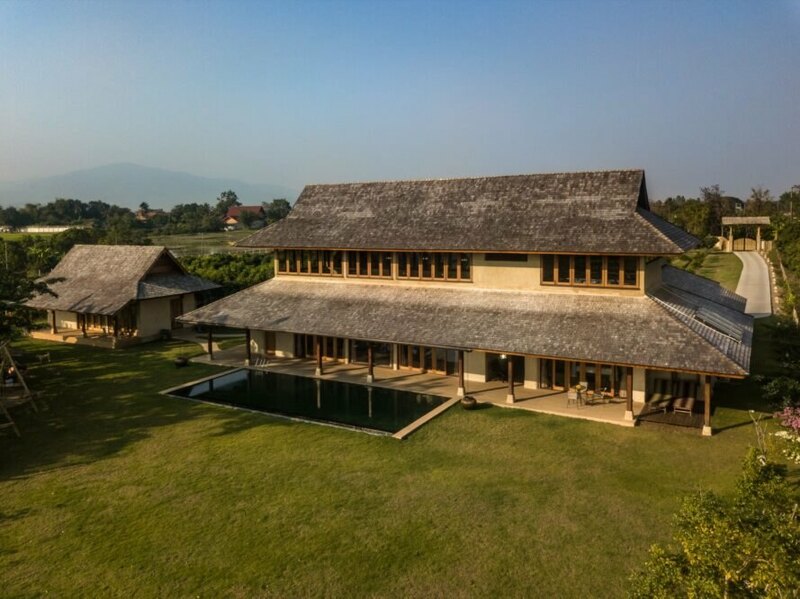 Located in the mountains of northern Thailand, the project, dubbed the ‘Earth & Wood Villa,’ was built primarily of locally sourced natural materials from the self-made adobe bricks to the exposed timber elements throughout. 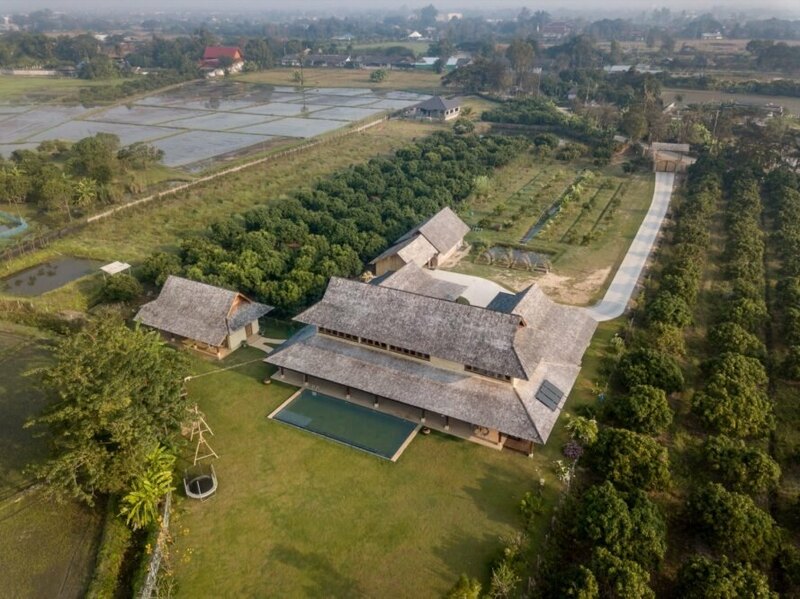 In addition to mountain vistas, the property is sandwiched between Lamyai tree orchards and rice fields, views of which are maximized throughout the home. 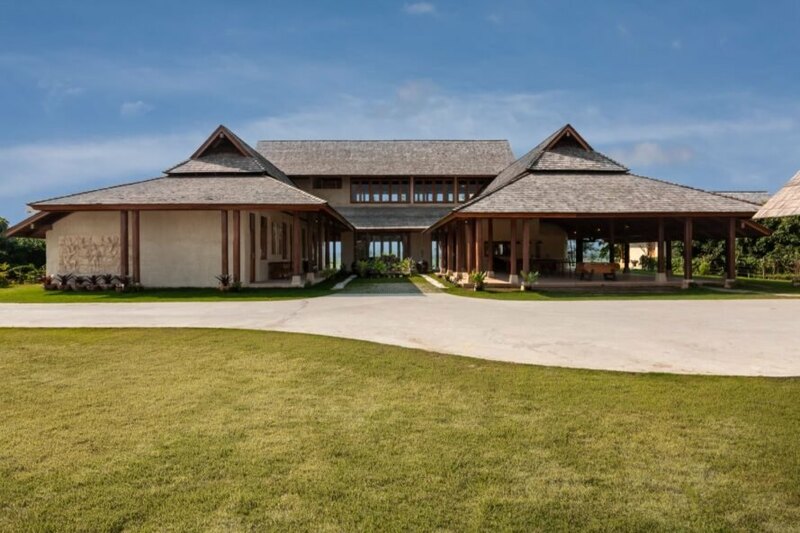 Spanning an area of nearly 7,500 square feet, the expansive residence serves as the family home for a couple and their three children. 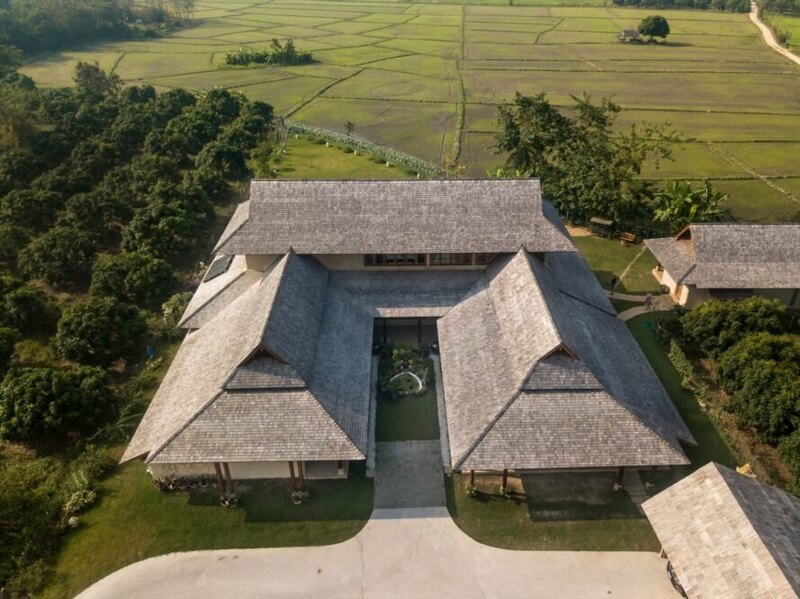 The main house is a U-shaped structure oriented toward the north with four bedrooms lined up in a row in the east-facing private wing. 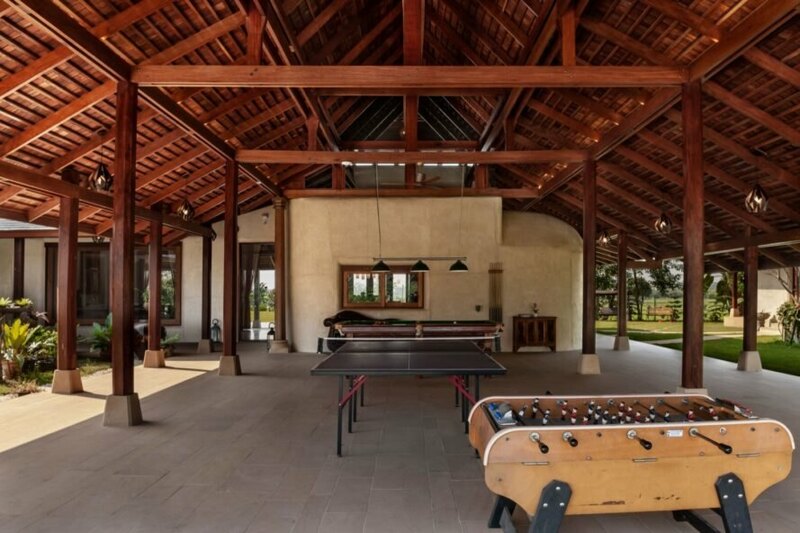 The open-plan living area, dining room, kitchen and pantry are clustered across a hallway in the south of the building; full-height glazed folding doors open the living room and dining area up to an outdoor swimming pool. An entertainment area is in the west wing. A small home office is tucked into a second-floor mezzanine gallery and overlooks views of the surrounding landscape. 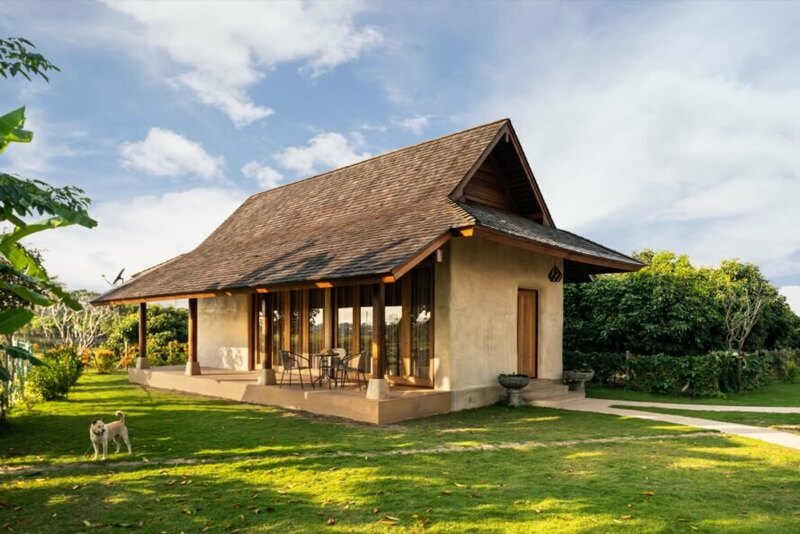 The guest cottage with a sunset veranda sits adjacent to the main house. 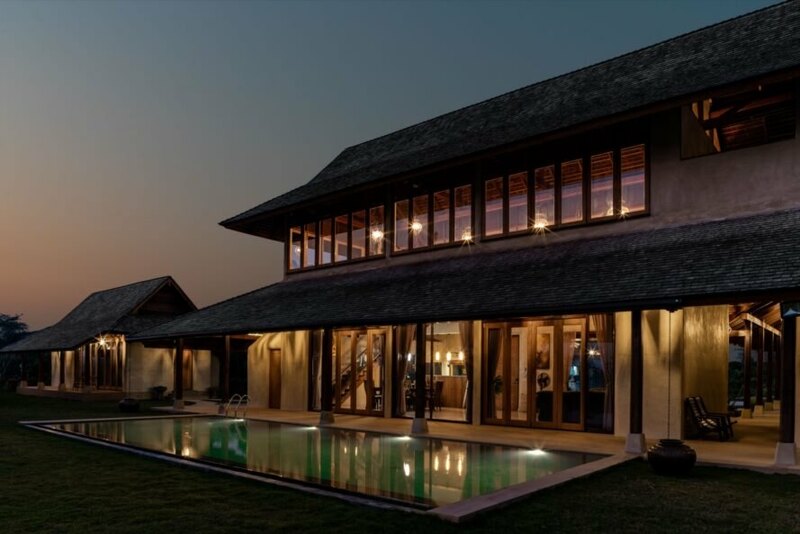 To meet modern living comforts, the residence is equipped with air conditioning in the private wing; however, it relies solely on natural ventilation in the living areas. 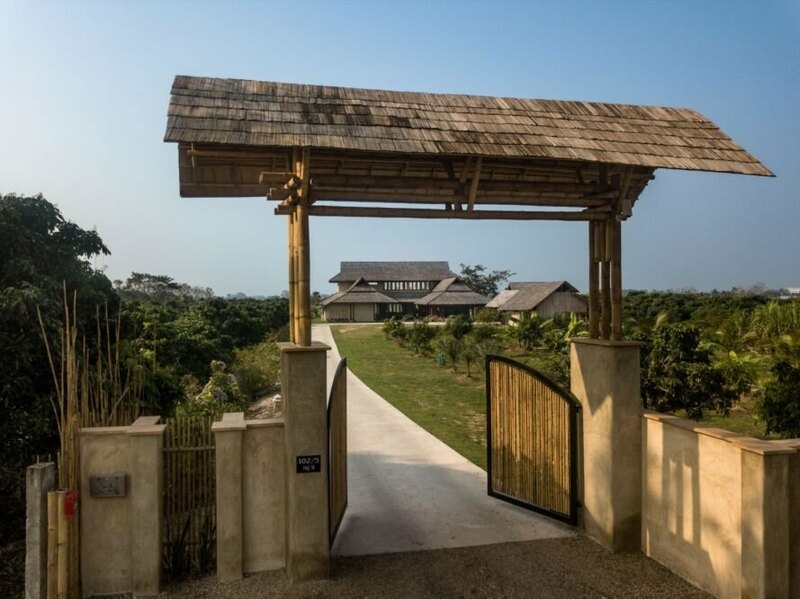 Large openings allow for cross breezes and hot air while the raised roof — inspired by local vernacular architecture — permits hot air to escape and induces air circulation. 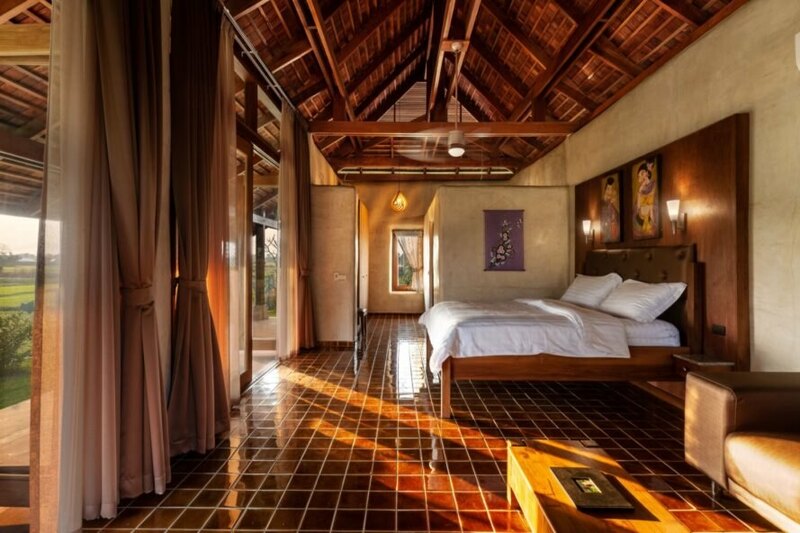 The thick adobe brick walls that were built of local clay, sand and bamboo shavings provide thermal insulation. 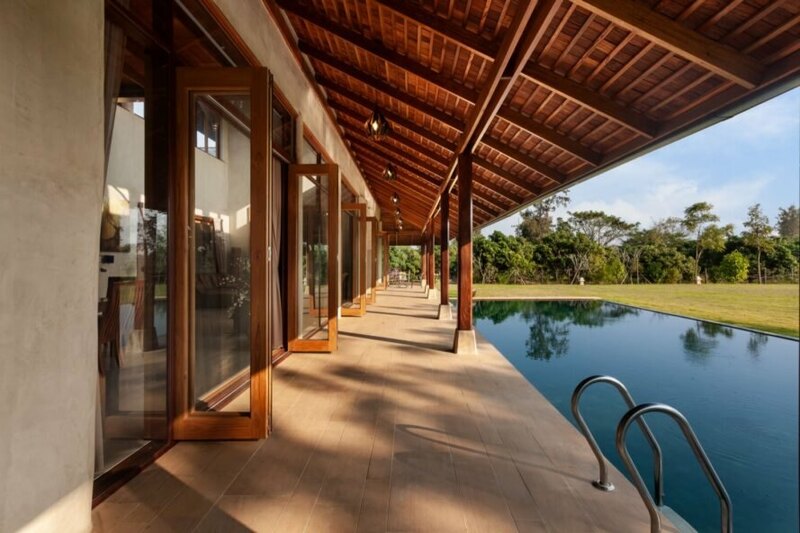 The exterior is coated in a water-resistant mixture of lime and fine earth powder.